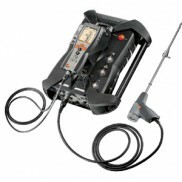 Hands-free superheat/subcooling temperature measurementThe Extech TP400 Type K High Temperature Pipe.. 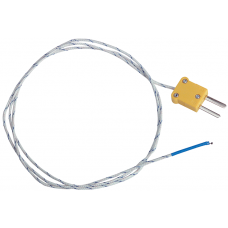 Temperature probe with subminiature Type J connectorThe 872502 is a bead wire type J temperature p..
4-wire Pt-100Ohm RTD probe with 4-pin proprietary DIN plugThe Extech 850187 is a general purpose RTD.. 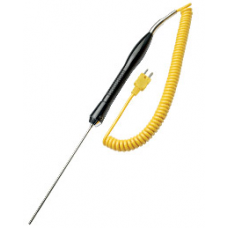 Type K high temperature probe with mini connectorThe 881602 is a Type K Surface Probe. 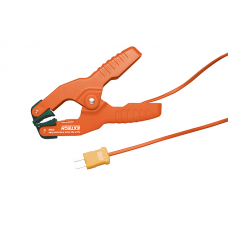 For use with .. 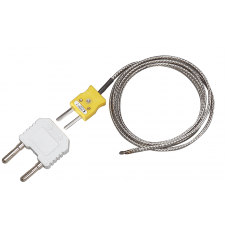 Type J temperature probe with mini connectorThe 801515 is a Type J General Purpose Temperature Probe..
4-wire Pt-100Ohm RTD probe with 4-pin proprietary DIN plugThe 850186 is a surface temperature RTD pr.. 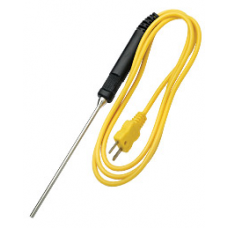 Type K high temperature probe with mini connector The 871515 is a type K general purpose temperatur.. 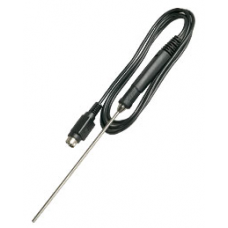 Type K Immersion Probe (-40 to 1472°F) FeaturesHigh temperature range: -40 to 1472°F (-40 to 800°C)7.. 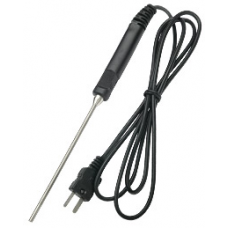 Type K high temperature probe with mini connectorThe 881605 is a Type K General Purpose Temperature .. 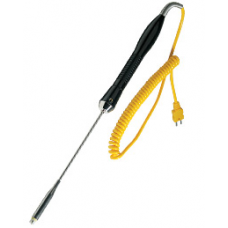 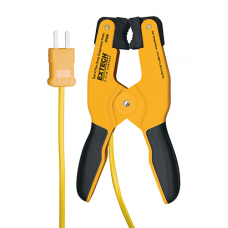 Type K temperature probe with mini connectorThe 881616 is a Type K Magnetic Grill Temperature Prob..
Hands-free superheat/subcooling temperature measurementThe Extech TP200 Type K Pipe Clamp Temperatur.. 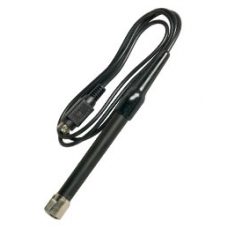 Type K temperature probe with mini connectorThe TP870 is a Type K temperature probe with mini conn.. 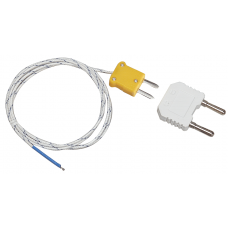 Type K temperature probe with mini connector and banana plug adaptorThe TP873 is a Bead Wire Type .. 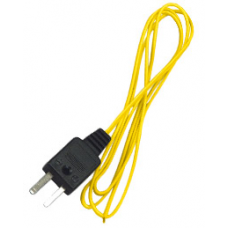 Type K temperature probe with mini connector and banana plug adaptorThe TP873-5M is an extra-long .. 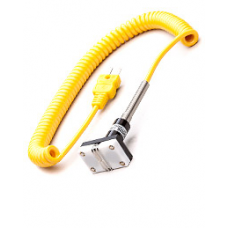 Type K high temperature probe with mini connector and banana plug adaptorExtech's TP875 is a bead ..